Shortly after Donald Trump announced that Saudi Arabia’s King Salman agreed to help stabilise the oil market as Iran went under sanctions, Iranian Vice President Eshaq Jahangiri issued a threat against the Gulf states, although he would not mention them by name, claiming that this amounted to “great treachery” and that the countries would “pay for it”. 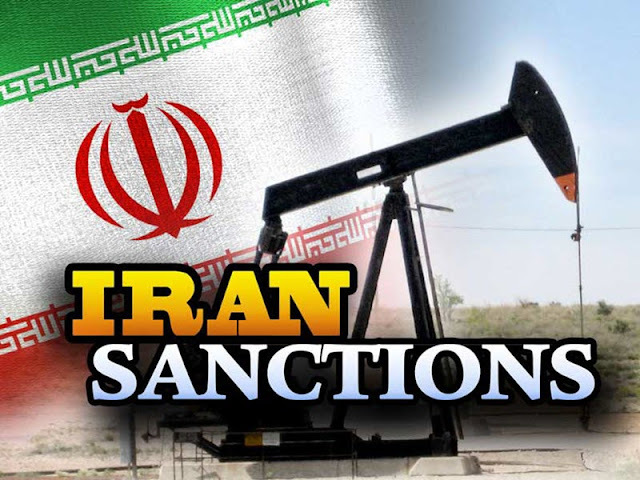 But the falling oil prices is the least of Iran’s problems, especially after US sanctions have severely limited the country’s oil production capacity by preventing American oil companies and other firms from engaging in drilling, production and shipping operations. The pressure on Iran has only increased since US Secretary of State Mike Pompeo has been doing foreign tours to get major markets, like India, to stop buying Iranian oil. While Trump’s sanctions have caused the rial – already in a shaky position due to Regime corruption and mismanagement - to fall to an all-time low, spurring further anti-regime protests by the Iranian people. One thing is certain: these rapid economic sanctions are working. Some even say that these are working better than military confrontation, which could create chaos due to Iran’s involvement in several foreign wars in the Middle East. As the Regime loses money, it loses the ability to suppress the people’s uprising and speeds up the Regime’s eventual collapse, unless the Supreme Leader makes some serious changes. However, there is no hope of reform within the Regime, let alone from the Supreme Leader. The Iranian Regime is lashing out at countries, like Saudi Arabia, that are meeting the oil needs of Iran’s current customers as this will reduce Iran’s ability to evade the sanctions. Now, even if Iran does increase production and sell its oil to those who don’t care about the boycott, it will be making less money and will have less ability to pay for its foreign wars, proxy militias, or domestic suppression.